Create a directory for your DOS Games and put your games here. #Lines with # are the default values. To automatically mount drives when DOSBox start. 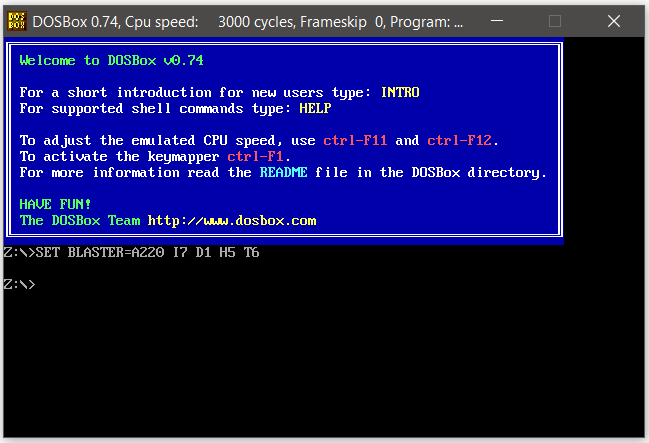 Add the mount commands to the [autoexec] section at the bottom of the “DOSBox 0.74 Options.bat” file.